So I don't know about you ladies and gents, but I am part of the American population who wears glasses. You may not see it all the time in pictures, mainly because I removed my glasses for those Kodak moments, but I am an eye glass wearer. I need them to see, drive, sew, pretty much anything. Just last week I was contacted by the sweet people at GlassesUSA.com. I was so excited to hear about their glasses! I immediately started browsing their site. All the eyeglasses are very reasonably priced, which in this economy is exactly what I am looking for. They offer glasses for both men and women, which a HUGE selection of types. From half rim, to full rim. They really have something for everyone. 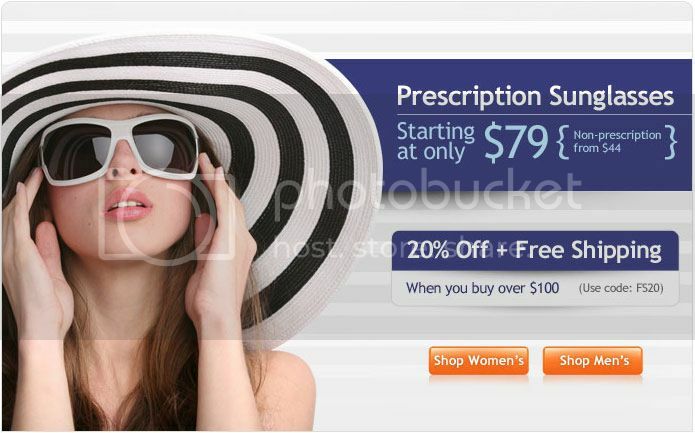 They even offer prescription sunglasses as well! I think my favorite pair right now is the Kim Black. They are only $58! Half off the original price! I LOVE the rhinestones on the side. I am definitely going to be looking into getting these ones. My current glasses are getting very SAD looking, but new glasses weren't in the budget. With Glasses USA now they can be. Thank goodness for that! Oh and don't be concern about wondering what they will look like on you. 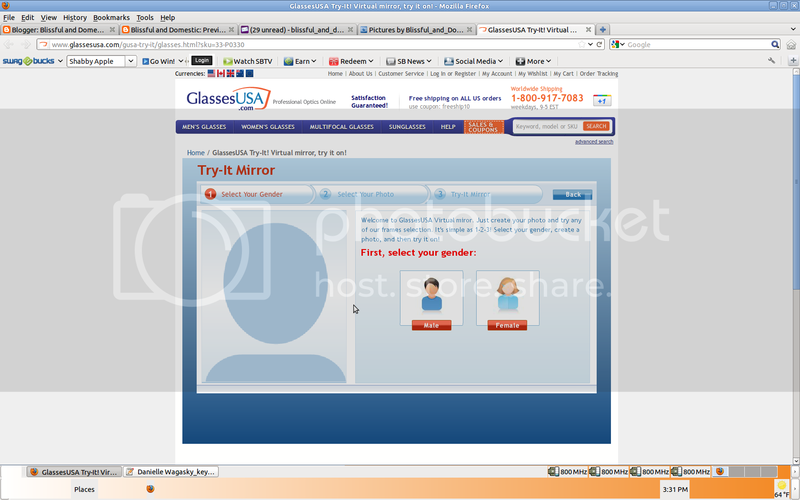 Glasses USA has a Virtual Try It Mirror. will look like on your sweet face. That is cheaper than even going to Wal-Mart or other eyeglass providers. So ladies and gents if you are the eye glass wearing gals and pals I am thinking most of you probably are, look into Glasses USA. When you Buy glasses, why not try to save a bit!